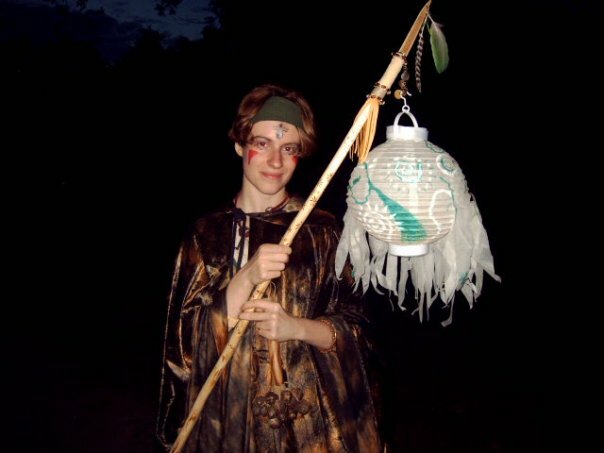 My recent discovery-turned-obsession with live action role playing (commonly referred to as LARP or LARPing) has taken me on a mission to find a local group that caters to the youth crowd. Out of all the really fascinating LARP groups in the Twin Cities, I haven’t come across any that allow participation by children. Some organizations allow non-combat participation for ages 16 and older but my son is 12 and wants to play. That particular mission is not yet completed but I did discover a very intriguing side-quest: family-friendly LARPing. So naturally I was very excited that Ben Millard, owner and president of Interphaze, agreed to sit down with me over coffee and discuss exactly what sets his company apart from others in the Twin Cities. Matilda Ruth (TCG): What is Interphaze and how was it started? Ben Millard: Interphaze is a live action role playing organization. 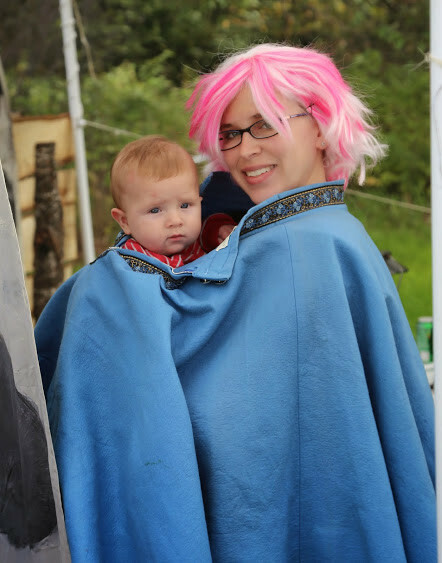 We provide family-friendly LARP experiences for people of all skill levels, including none. It was started by the man we all lovingly call “Doc”. He and his friends were looking for something beyond a tabletop role-playing experience, so they decided to dress up in costumes and act out their game in the woods. That was in 1987 and Interphaze has been running strong ever since. TCG: What’s your role with Interphaze? Ben: I am the owner and president. But I am by no means the “main man”. I owe Interphaze’s success to the dedicated team of leaders and volunteers that come together to get all the pieces in place for each event. 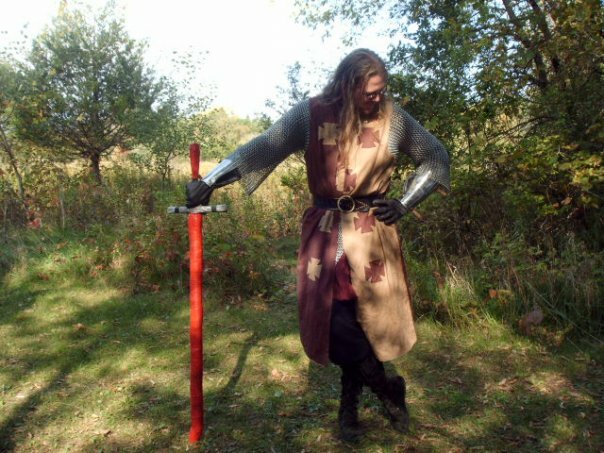 TCG: In your opinion, what’s the LARPing scene like in the Twin Cities? Ben: The Twin Cities LARP scene is bigger than you might think. 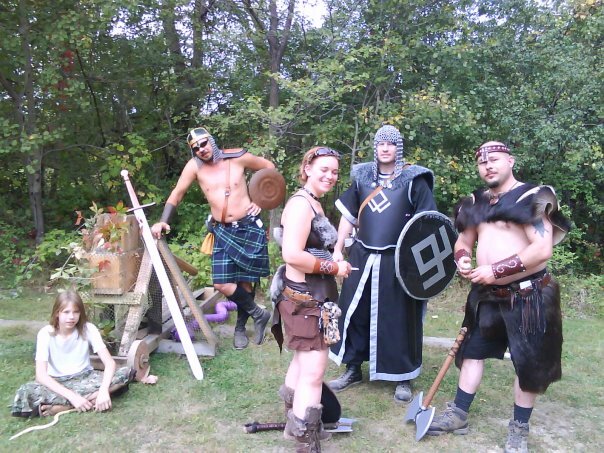 There is a large handful of small, independent LARP groups. These groups usually focus on one genre and/or one style of game. This is where Interphaze fits. There are also a couple of larger organizations that are branches of national LARP groups. So, there is a LARP to fit all sizes and interests. TCG: What style or type is Interphaze? Ben: Interphaze specializes in turn-based LARPing. That is, when combat occurs in the game, it is broken down into individual turns overseen by a judge. We use random numbers to determine the outcome of each attack or action taken. In this way, the game is accessible to people of all ages, skills and abilities. TCG: This is how you are able to incorporate the youth players? Ben: Yes, because it is turn-based there are virtually no limits to their participation. The only “limit” is their own maturity and patience for the game. TCG: I’m new to LARPing. Walk me through the process from first contact to the first event. Ben: Many of our new players come to us because a friend is involved. They typically get the run down from their friend (usually filled with exciting stories about how cool the game is). For the truly new player, who has no experience with LARPing before, they will typically contact us through our Facebook page or email. One of our leadership team members will answer any questions they have and walk them through how to get started. Read through the New to LARP webpage. Read through the Step Combat page. That covers the very basics. You can read through as many other rules or setting information as you like beyond that as well. I recommend a quick read of Classes and Races, which will be useful when registering. Register for the upcoming event you’ll be attending. Get in touch with us through email to ask any questions you have and keep asking until you’ve got a solid grasp of the basics. When you show up and check in to the event you’ll be walked through the tutorial of how to play. You’ll be introduced to other players who can help you along during your first event. That’s it! TCG: That’s a lot of information. Can it be overwhelming for newbies? How long does it typically take for someone to become comfortable with their character? Ben: It’s a funny balance when posting rules and how-to-play information. For new players, it can be overwhelming. In fact, most of our new players only read through the Guide for New LARPers. But players who are experienced in role playing games often find there is not enough detail to the rules posted on our website. In either case, the learning curve is pretty short. Each event has a tutorial built in for how to play. New players quickly find themselves mastering the basics. We also have a strong sense of community. Experienced players are always providing tips and tactics during the game. This, coupled with the judges who run each combat, means new players can learn as they go quite easily. Our typical new player feels right at home by the end of their first event. TCG: Do I need to take out a small loan in order to “look the part”? Ben: It depends how much you want to “rock the costume.” Character costumes are required to participate. There are several tutorials on the web (just ask Google) about how to make medieval or renaissance costumes for cheap. We also have a stock of props and generic costumes for your first event, if needed, so if sewing or crafting isn’t your thing . . . don’t worry! Additionally, we hold prop and costume making workshops—typically about once per year—to help you stock up for the game. TCG: What’s the largest turnout you’ve had for one of your events? TCG: I always find it interesting how and when people get involved in LARPing. What’s your story? Ben: When I was 14 a friend of mine came to school all fired up about this new gaming experience called LARPing. He told me I had to check it out so I went with him to a small starter–event and was instantly hooked. TCG: What’s on the radar for Interphaze? Ben: We are currently aiming towards establishing our own, Interphaze–owned and operated venue. We’re in the middle of a growth spurt in our numbers. We are looking forward to having our own plot of land to build a permanent town, village, and surrounding countryside tailored to the game. It’s several years off yet, but will be awesome! TCG: What else do you want Twin Cities Geek readers to know about Interphaze or LARPing in general? Ben: Interphaze is built on the strong and close-knit community of players and volunteers that make the events a little more “magic” than “mundane”. Almost every single member of Interphaze lends a hand to making the events awesome, either by helping build props, processing paperwork, or providing thrilling and memorable monsters to fight. There’s no reason to be at all anxious about joining because you’ll be welcomed by our community and made to feel right at home. About LARPing in general: I think most LARPs are attended by like-minded, friendly people. As geek culture has become more mainstream, the sub-elements of that culture (such as LARPs) have also gained exposure. The stereotype of immature adolescents wearing taped-together horn-rimmed glasses couldn’t be further from the truth. 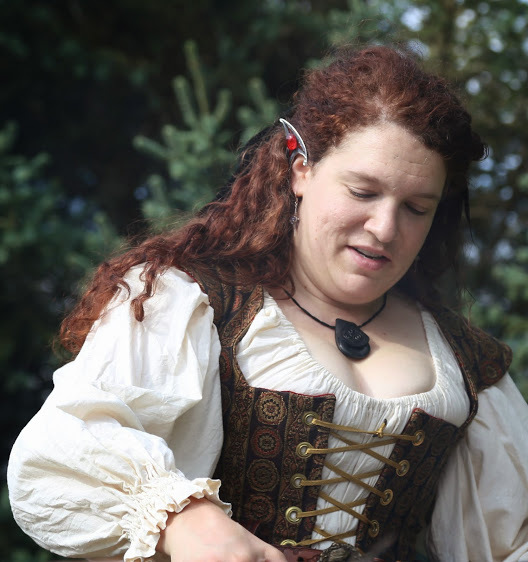 Most LARPs are attended by people from all walks of life, each coming to experience a vacation from normal life and thrill in storytelling and community LARPs. LARPs vary in style and substance, so try a few until you find the one that fits you and your style. Interphaze’s next event, Winterphaze, begins March 18th in beautiful Nisswa, MN at the Parker Scout Reservation’s Miller Castle. Interested? (Damn right! Who wouldn’t want to LARP at a castle?) Head to their webpage at Interphaze.org. Registration ends very soon. Can’t make Winterphaze? Have no fear, another event is set for this summer and I am definitely looking forward to it. Sign up for the email updates or check out their Facebook page for more information.